Dwayne and Leigh O’Quinn of Breton, Alberta, introduced Dwayne’s mother, Bernadette, to British Columbia. Bernadette lives in St. George’s, Newfoundland. We asked the O’Quinns a few questions about their holiday experience. 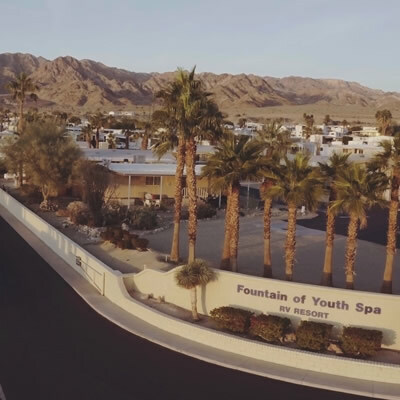 Why did you choose to stop here at Fairmont Hot Springs? Leigh: We’ve been coming here for the past five years—we love it here. Bernadette: I love it, too. It’s beautiful. What do you love about RVing, specifically? Leigh: I like having my own stuff around me—my own bed and my own kitchen. Dwayne: It feels really relaxed. We are able to ignore the clock—we don’t even wear watches when we’re here. 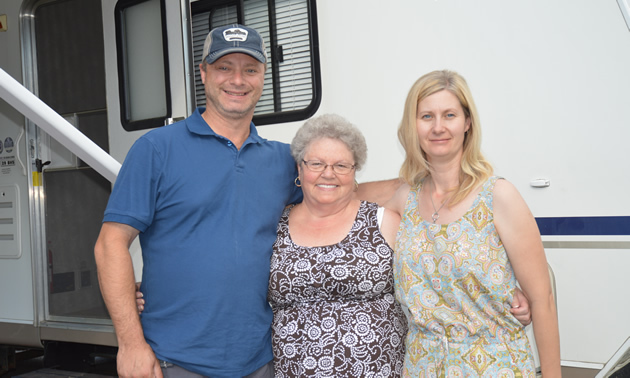 In lieu of a new house or apartment, Kari and Juan Bruno purchased a 1994 Monaco La Palma motorhome for full-time living. 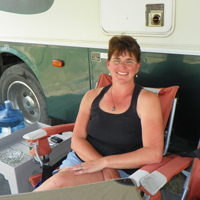 Lin and Brian Weich love the outdoor lifestyle and have found that a camper works best for the exploring that they love to do.